A Barnsley-based recruitment agency is working with a local college to help give its pupils a voice within their community. Provide Education specialises in placing supply teachers and other school staff in more than 500 primary and secondary schools across South and West Yorkshire and the East Midlands. 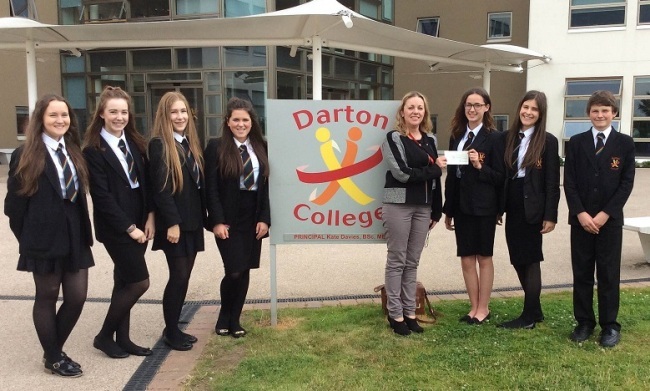 The company is working with Darton College to support its Darton Voice project which encourages pupils to get more involved in their own community. Provide Education recently presented the college with a cheque for £280 to provide badges for the project which gets pupils involved in schemes such as litter-picking and running coffee mornings for older people. The Darton Voice project is open to students aged 11 to 16 who volunteer to make changes both within the college and the local community. The older pupils then become ambassadors for the school, supporting other children with the transition from primary to secondary, as well looking at other ways of helping within their community. Provide Education has been working very closely with teacher Jason Gardner, Cover Manager and Darton Voice Co-ordinator, who leads the project and has welcomed its involvement. The company, based at Barugh Green near Barnsley, offers a professional 24-hour rapid response recruitment service to help schools fill supply jobs and permanent vacancies. It has more than 2,000 teachers, teaching assistants and nursery nurses on its books, as well as other non-teaching staff.